RUBBLE MASTER's world-wide success has been the result of unwavering vision and leadership by Gerald Hanisch. Gerald is the founder and CEO of RUBBLE MASTER having started the company nearly thirty years ago. In order to keep up with demand, RUBBLE MASTER has focused on an aggressive worldwide dealer network spanning over 110 countries. As the first point of contact for any RUBBLE MASTER customer, RUBBLE MASTER dealers work tightly with the factory to ensure availability of equipment, immediate availability of parts and well trained, experienced service personnel. Over the last decade, RUBBLE MASTER has made tremendous investment in the North American market. Part of that investment includes hiring the best in the industry and allowing them the resources to pursue opportunities within the market. RUBBLE MASTER gives their managers the freedom to look at the crushing and screening world differently, resulting in new ideas and opened doors for the product line and dealer network worldwide. Seeing the upward trend in demand for RUBBLE MASTER products, RUBBLE MASTER has been busy expanding capabilities both in Europe and the United States. In the United States, RUBBLE MASTER has doubled their North American parts supply warehouse and personnel resulting in a 90% fulfillment rate. This means dealers can place larger stock orders and receive their shipments faster than ever before. A Canadian parts supply hub is planned for later in 2019. In Europe, RUBBLE MASTER has expanded the main crusher assembly line in Austria by building a fourth production line on the main RUBBLE MASTER campus. Secondly, with the acquisition of Maximus, RUBBLE MASTER is now producing scalping and sizing screens and stackers at their Northern Ireland location. Seeing quick success in 2018, the market for this aspect of the business has grown tenfold. Under RUBBLE MASTER control, the Northern Ireland division is set to meet all 2019 pre-orders on time as promised. Alex Taubinger, VP RUBBLE MASTER Americas Corp comments "2018 was all the proof we needed to know we're on to something. As it stands now, Maximus' production capabilities will allow us to service our customers' needs and demands for high quality screens and stackers as well continue to expand into new markets worldwide. It's an exciting time to be part of the RM family." 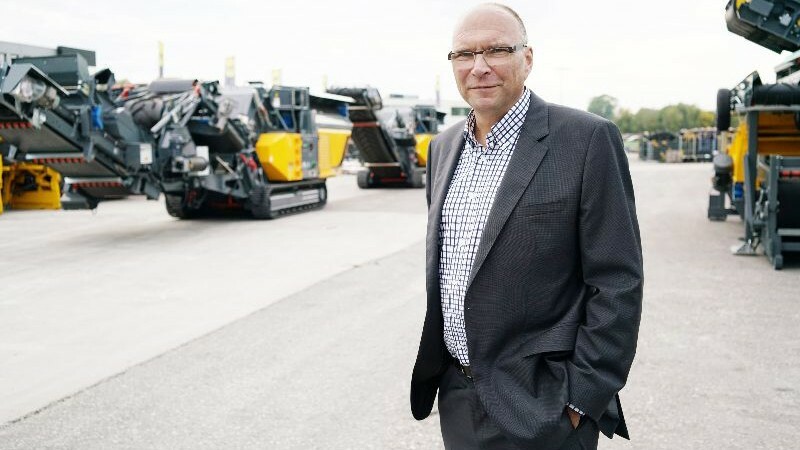 RUBBLE MASTER's world-wide success has been the result of the vision and leadership by Gerald Hanisch. Gerald is the founder and CEO of RUBBLE MASTER having started the company nearly thirty years ago. "I see it as the industry coming full circle. Thirty years ago people were questioning if there was even a market for Compact Crushers. Today those same people are desperately playing catch up to where we were a decade ago."